Past Simple vs Past Continuous! 2 pages. 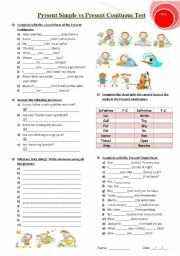 I have used the same pictures of my previous worksheet but I´ve changed all the sentences and the story! Hope you like it!!!! 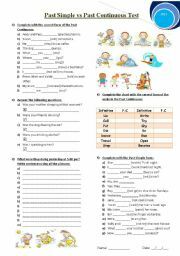 Have fun with this worksheet! Classroom Rules 1! What you MUST DO! 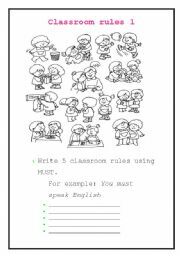 Classroom Rules 2! What you MUSTN´T DO!!! 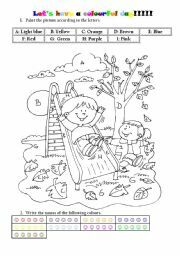 This is a nice worksheet to work with young children. 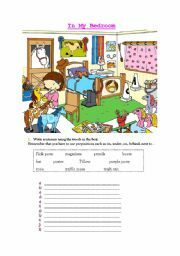 the prepositions that can be use are in, on, under, behind, next to. I hope you like it!!! Let´s have a colourful day! Have fun with this sweet picture and learn the colours in a happy way! 2 pages full of activites!!!! Have fun!!!! 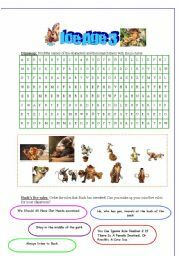 A funny and interesting worksheet based on the great movie Ice Age 3. 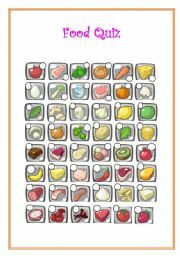 It´s full of activities for students of all ages and teachers too. Have fun and enjoy life always!!!! Kisses from Argentina. 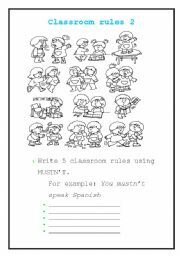 A funny and interesting worksheet with definitions and really nice pictures!!! !